Our updated school handbook can be accessed through the link below. We are always very eager to encourage our children to be confident individuals and this has been very much proved this year already, by pupil committee representatives presenting information to parents, other committees and members of the public, both at meetings in School AND in the Community…… AND out of school hours! 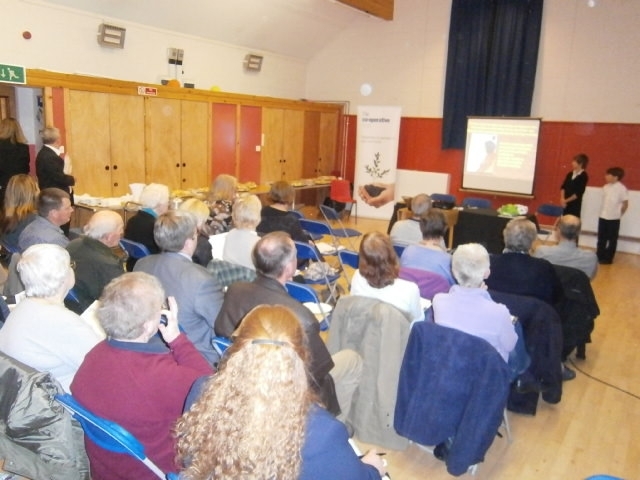 Our Fairtrade reps addressed a packed hall at a Co-op Members Evening, held in the Village, by showing them an excellent powerpoint presentation they had specially created, to tell everybody what we have done so far here, at East Linton Primary School, to raise awareness about Fairtrade. They were given a great reception by business managers, invited guests and other members of the community. Well done and congratulations boys! You were a credit to the School! We are at the planning stages of a fortnight of scientific learning and fun for the weeks beginning 11th and 18th of March – do you have some talent / interest or expertise you would be willing to share with our pupils ? If so please get in touch !! Our most recent Parent Council meeting was held last Monday. The Minutes have been prepared and will be available to view on the Parent Forum noticeboard, on the edubuzz website and in East Linton library. We discussed possible fund-raising and community events and have decided to organise a family games evening, the date of which is yet to be confirmed. We also agreed to hold the May Fair and the chosen date is Saturday 11th May, 11:00–14:00. Once again, please contact us if you will be able to help on the day. It’s always a popular event with the children. The ‘East Linton PS Parent Council’ Facebook page will be kept up-to-date by Kevin McCarthy. This will be used to advertise forthcoming events and news. It will be used alongside the usual edubuzz blog updates and emails from school. The 50/50 Club draw continues to run. We have 104 members and numbers cost £1 per draw. There will now be three winners per draw. Please contact our Treasurer, Fraser Macrae, or collect a form from the Parent Forum noticeboard if you would like to become a member. Half of the proceeds are given away as winnings and the rest is added to the Parent Council fund-raising total. Go on, you might be lucky! It is great to have the edubuzz website back up and running https://www.edubuzz.org/eastlinton/. 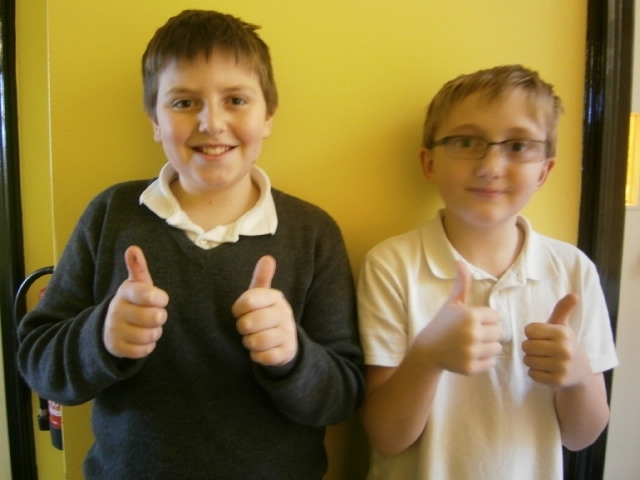 Our staff representatives highlighted the fact that the children and staff really appreciate feedback on their blog posts. Please take a moment to comment using the ‘leave a reply’ button underneath each new post. Mrs Gardner presented her Head Teacher’s report and informed us of recent news and forthcoming dates and events. The newsletters and termly diary of events are proving to be very helpful. A summary of her report is included in the Minutes. The date of our next meeting is Tue 19 Feb @ 19:30 in the school. Please remember that everyone from our Parent Forum is welcome to attend. Alternatively, please contact your class representative if you would like to add an item to the next agenda. …..AND what a busy afternoon! 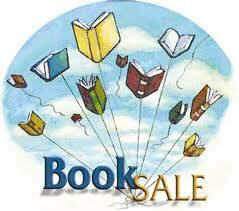 Primary 2/3 are hosting a Book Sale on Monday 19th March to raise money for Scottish Love in Action. We have had lots of second hand book donations so far, but its not too late to have a clear our as we are accepting donations until Friday. We will have a selection of childrens books and adults book for sale and we also have a “guess the chicks birthday” competion. Parents are invited along between 1.30 and 2.30 and classes will visit on a rota basis throughout the day. has parent representatives on national committees and working groups to make sure the parent perspective is taken account of. Communication is important to us! So that we can keep you in touch with what we are doing and seek your views on important issues affecting your child’s education, please email your contact details to enquiries@parentforumscotland.org, giving your name, your child(ren’s) school and year group, your local authority area and your role (if any) on your school’s parent council. This information will only be used by the National Parent Forum of Scotland. We look forward to hearing from you. are welcome to join us, to take part or just watch. Two of our P7 pupils are JRSOs and are seeking an adult who could meet with them about once a month to discuss what they are doing, help them to keep in touch with our link person in Lothian and Borders Police, provide encouragement and take an interest in their activities. We are looking for parent representatives to sit on the Health Working Group and Rights Respecting Schools Working Group. These groups are working on aspects of our development plan. No prior knowledge is necessary and further details can be obtained from Mrs Wareham. Our Active School co-ordinator is always on the lookout for parents/carers to help with a range of active after school activities. A comprehensive training programme is on offer. As a school we are continually striving to improve the quality of the service we deliver. If you would like to join in with some of our self-evaluation exercises please get in touch.